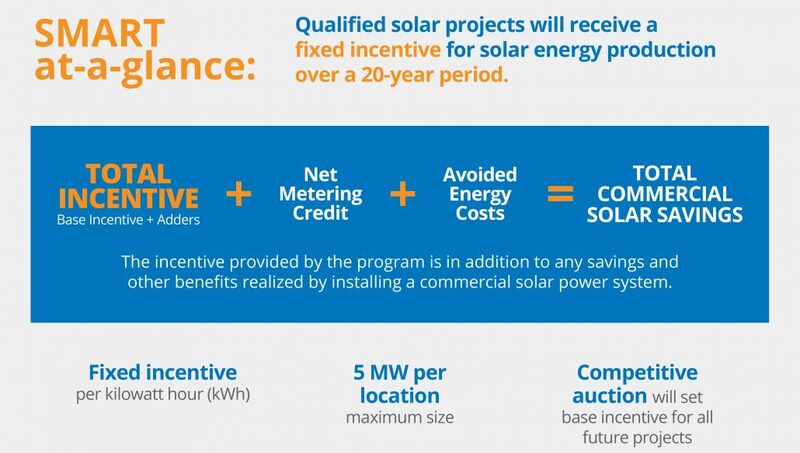 The Solar Massachusetts Renewable Target (SMART) incentive, offers fixed incentives for up to 20 years on qualifying solar projects. The SMART program includes an “adders” feature, providing higher incentives for solar installations with desirable characteristics—such as rooftops and carports that provide efficient use of space, behind-the-meter systems, and energy storage. This long-term sustainable solar incentive program sponsored by Eversource, National Grid and Unitil, will encourage the development of solar photovoltaic (PV) technology throughout the state by supporting 1,600 MW of new solar generating capacity. -The program is expected to fully replace SREC II in mid 2018. -Projects interconnected after January 1, 2018 are eligible for SMART assuming they have not applied for SREC II. -Given typical development timelines, most new solar projects will be eligible for SMART. What happens to existing state incentive programs? -SMART will replace the Commonwealth’s previous SREC-based incentive programs. SREC programs have reached their original planned capacity, although SREC II has been extended through the Spring of 2018. Relative to the SREC programs, SMART offers more predictable, consistent income. Does SMART replace net metering? – The SMART program is separate from net metering credits, and incentive income will be delivered separately from the system owner’s utility bill. Do I have to own the system? – You do not have to be the owner of the system to benefit from this program. 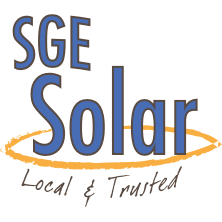 – Organizations that choose to finance their system with options like solar PPAs or leases can still benefit through expected rate reductions passed on from the actual system owner.